Frank: I'll be coming for you. Depend on it. Bulgaria looks that much like the Pacific Northwest, eh? Every once in a while, they release another movie about a government agent going on the run from his supposed friends (Sydney Pollack's "Three Days of the Condor" brought the genre to its apex 32 years ago, owing in part to widespread distrust of the government at the time). 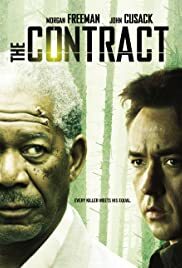 "The Contract" is one such movie, with Morgan Freeman on the run and John Cusack trying to help him. If you turn on the movie not expecting any kind of masterpiece (or not expecting much at all), you won't be a bit disappointed. I could predict much if not most of what was going to happen. 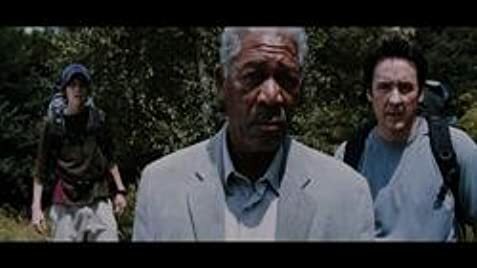 What I found most fascinating about this movie is that it was filmed in Bulgaria. I never would have guessed that that country looks so much like the Pacific Northwest (the setting seriously did look like Washington and Oregon). But mostly, this is the sort of movie that you rent if there's nothing else to watch. Though in the thick of things, I will say that "Did you learn how to fly in Disneyland?!!!!!" was a pretty entertaining line. Also starring Jonathan Hyde and Bill Smitrovich.